Even if you fail to renew your green card on time, it is important to note that your lawful permanent residence status will not be changed in any way as a result. If you are currently a lawful permanent resident in the U.S., you will have a green card. The green card serves as a physical representation of your permanent residence status, and shows that you are allowed to work and live in the U.S.
Once you have filed this information and paid the filing fee, USCIS will process the application and alert you of their final decision by mail. Further, even if you fail to renew your green card, it is important to note that your lawful permanent residence status will not be changed in anyway just because of your failure to renew your card. Again, that requires you to file Form I-90, which can either be filed online or through the mail. Instead, if you find that your card has already expired and you’re still outside of the U.S., but you have not yet filed to renew your card, you will have to follow a different set of steps. First, you should reach out to your closest U.S. Consulate, USCIS office, or any port of entry into the U.S. before you submit your Form I-90 to renew your green card. Once you have submitted your Form I-90, you could receive a letter in the mail that tells you that your application was rejected, and why it was rejected. If such a situation occurs, you should first contact a lawyer. This will be done through the same office that originally processed your application. When you file a motion to reopen or reconsider, you are asking the USCIS office to take another look at your application, and possibly reconsider and change its decision. When you are submitting this motion, you have to provide several key pieces of evidence. First, you have to show that you have new facts that you could provide to the USCIS office if your case is opened. [v] 8 CFR § 103.7(b)(g). [vi] INA § 216(c); INA § 216(d); INA § 216(a). [ix] 8 CFR § 249.3. 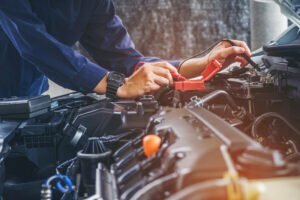 What is the M-1 Vocational Student Visa?